I was super excited when I received the set of hair products because Essential just relaunched with a brand new packaging, improved formula and also a new variant! 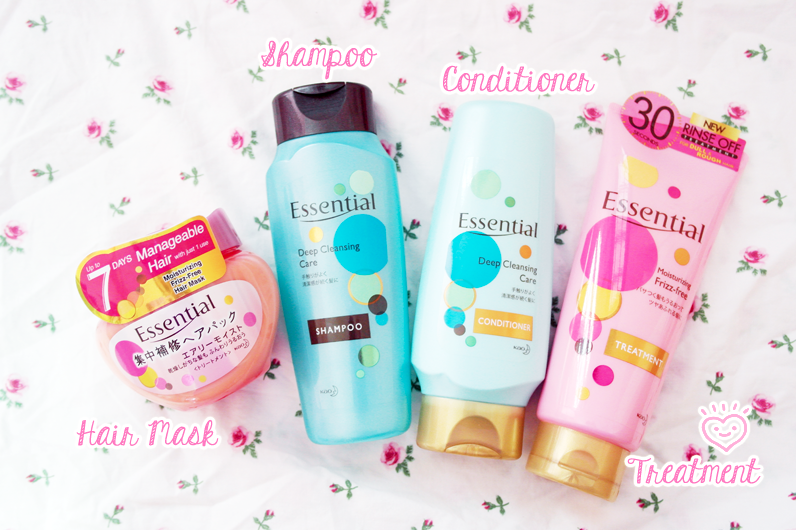 My family has been a big fan of Essential previously and my mum and sister has been using Essential shampoo previously except for me because I have oily scalp and I couldn’t use any shampoo that are rich in formula. 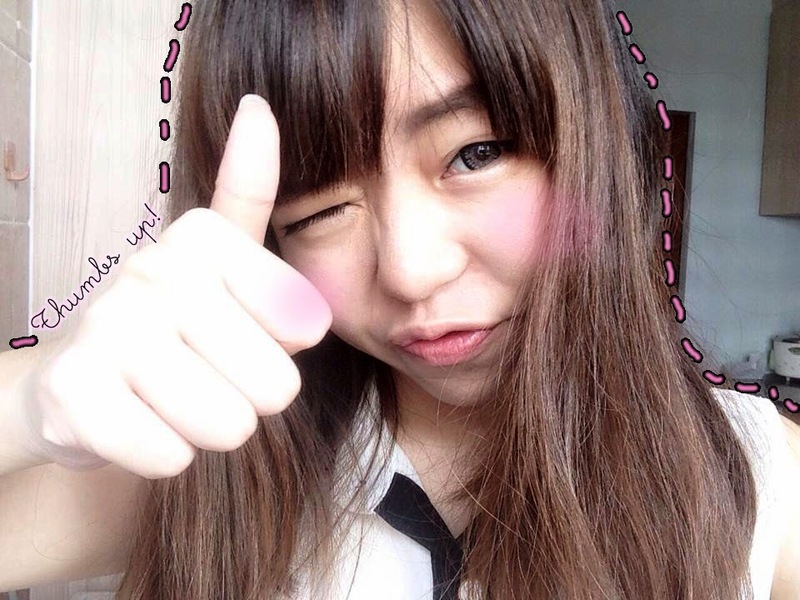 However, I have been using their hair mask for a year now and I super love it! Do you actually know that our hair gets “immune” to the effect of the shampoo? This explains why we should constantly switch our shampoo. 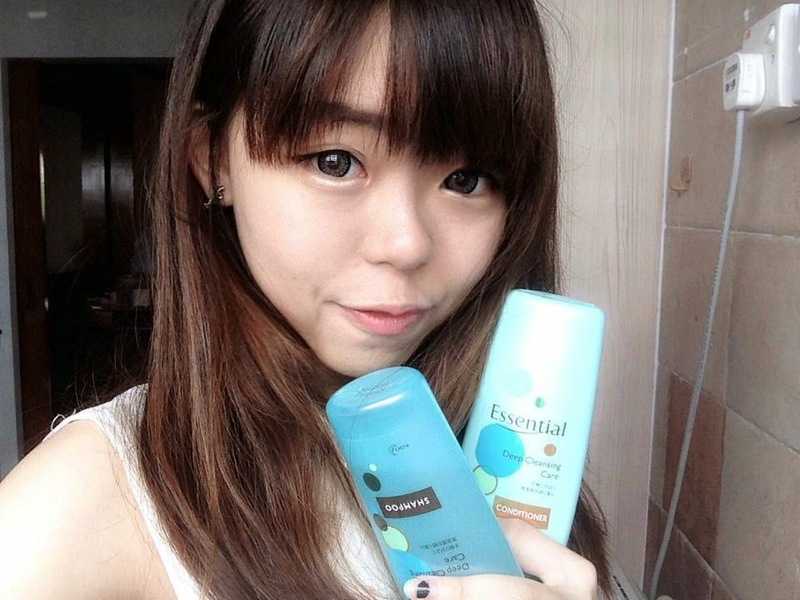 Many of us have combination hair in Singapore due to the hot and humid weather here and I believe most of our combination hair will fall under the “Oily scalp and dry ends” category. 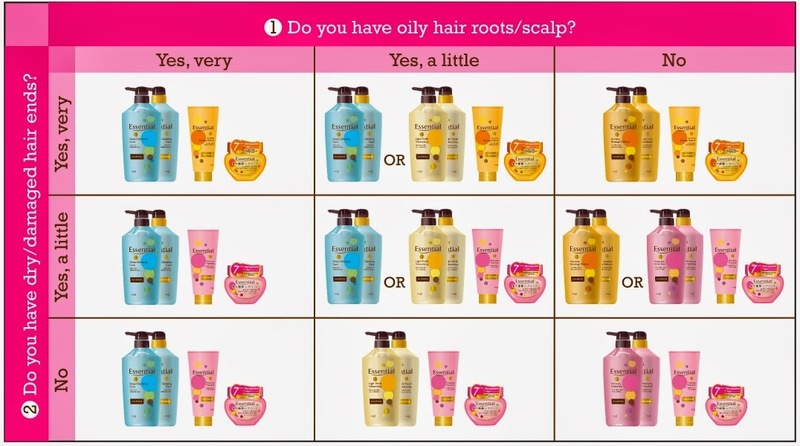 Out of these 4 variants, the yellow and blue variants have technology that caters to people with combination hair – oily scalp/roots yet dry ends. I did a short hair profiling survey and they sent me the Deep Cleansing Care series for my hair because I have really oily scalp and my ends are just a little dry. Deep Cleansing Care (blue) variant has the lightest formula and is suitable for people with very oily roots, followed by Light Finish Volumizing (yellow) variant. 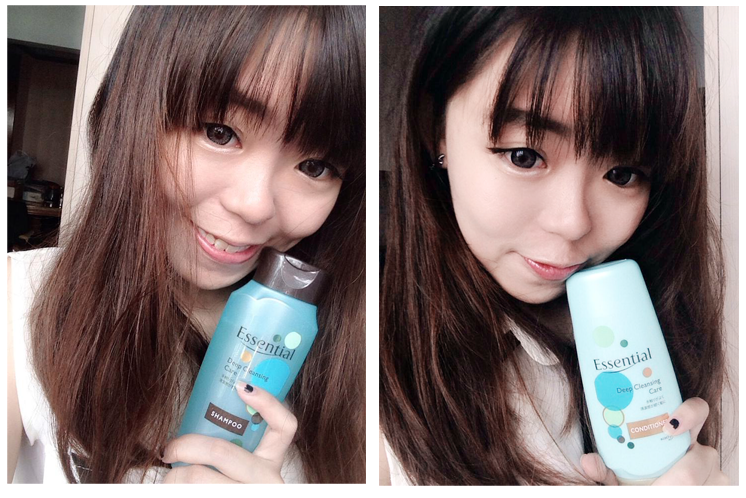 But with the deep cleansing care shampoo and conditioner, my hair has no more dry ends and it’s also tangled free! I super hate tangled hair because you have to spend time combing through the tangled hair and sometimes it takes EXTREMELY long because it’s soooooo tangled. 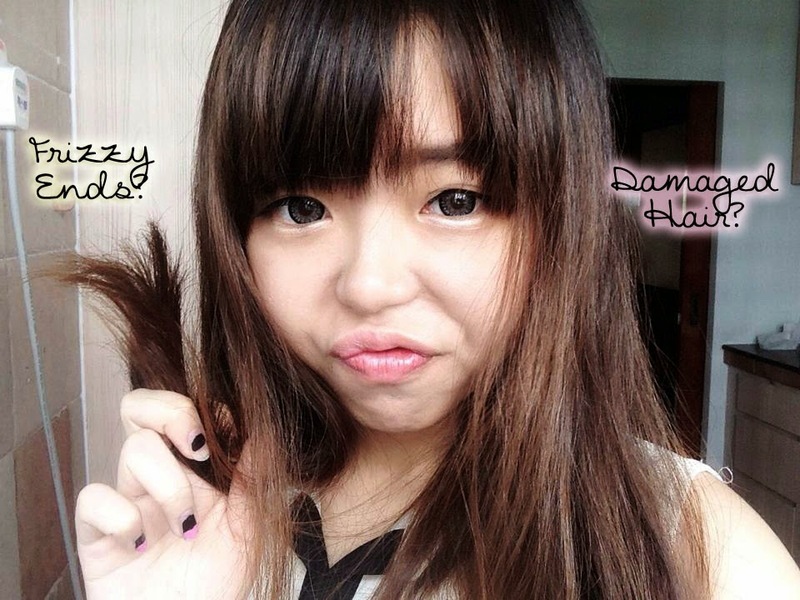 Sometimes I don’t even bother combing through them because it’s so troublesome lol! 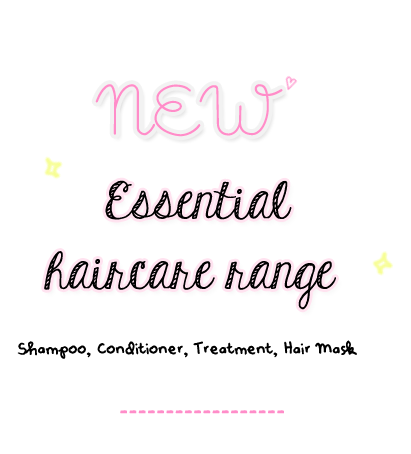 The new Essential haircare range is available from mid-September 2014 at leading supermarkets, hypermarkets, western pharmacies and personal care stores.